Please join us! All wooden boats are welcome: oar, power, sail and steam. Wooden boats of all sizes attend the Rendezvous including kayaks, rowboats, motor launches, day-sailers, cruising sailboats and historic tall ships. Most boats moor at the Deer Harbor Marina, and are available for public viewing at no charge. 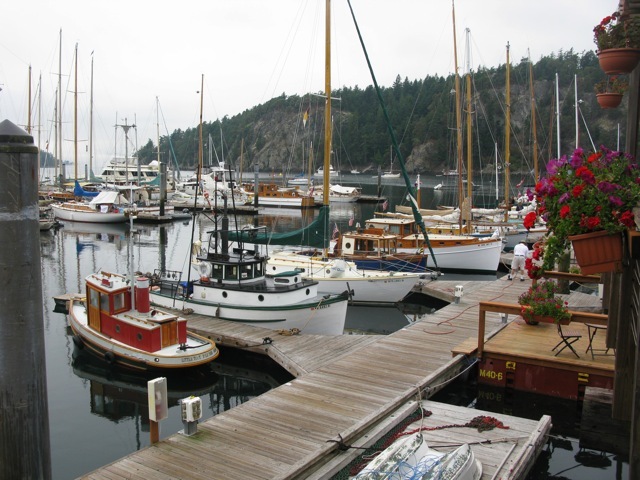 The Rendezvous is a low-key celebration of wooden boats, held in one of the most scenic harbors in the Pacific Northwest. Activities outlined here. Deer Harbor Marina at 360-376-3037 to reserve a slip for the Rendezvous.